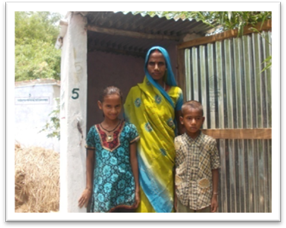 We have constructed 10 eco san toilets. Visited village Agaya. 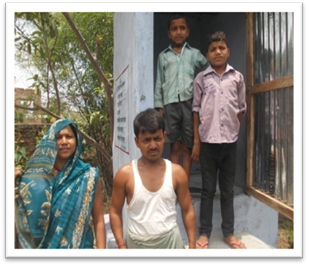 All toilets are functioning well & family is using toilet regularly. 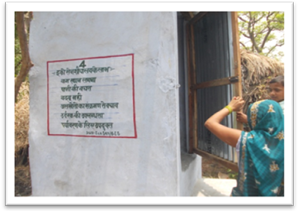 Here are pictures of all eco san toilets constructed with numbers mentioned on the wall & slogan. SES has organized a meeting at block shohratgarh. 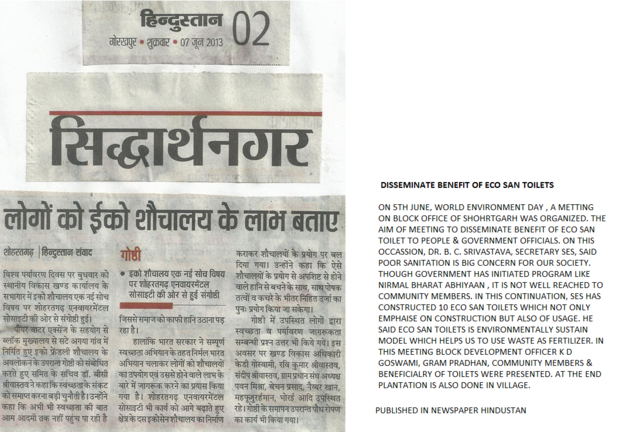 As 5th june was world environment day, it was formally opening of all 10 eco san toilets in village agaya.Block Development Officer K D Goswami has formally launched it & express his views over ECO san toilets. In this meeting community was well presented. SES secretary & its staff were also presented. Cosntruction of 10th & last Toilet is completed. Construction of 10th & last toilet is in progress. 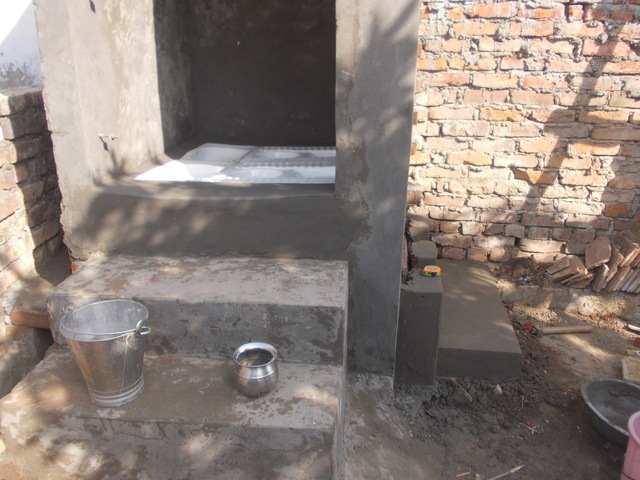 'construction of 9th Toilet Is completed at Phoolmti's house. 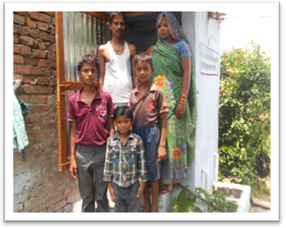 'construction of 8th Toilet Is completed at Shanti's house. 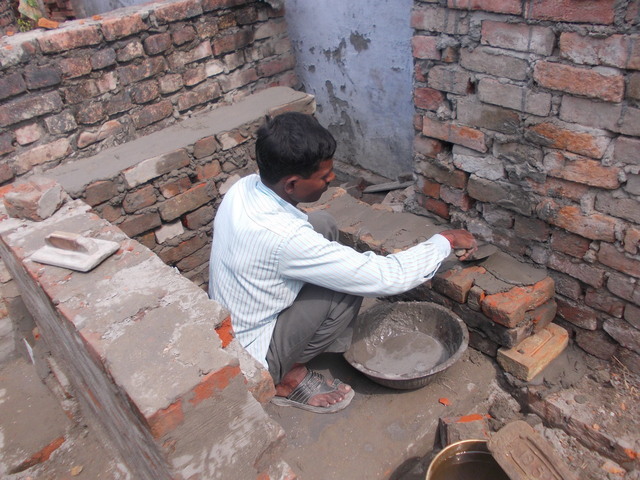 'construction of 7th Toilet Is completed at Shankar's house. 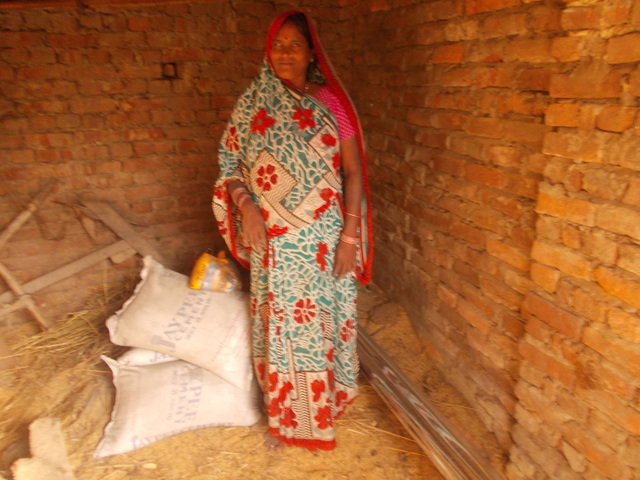 'construction of 6th Toilet Is completed at Bindrawati's house. 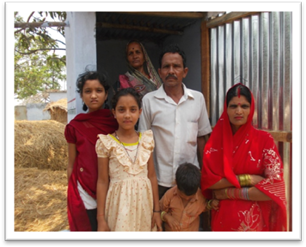 'construction of 5th Toilet Is completed at Poonam's house. 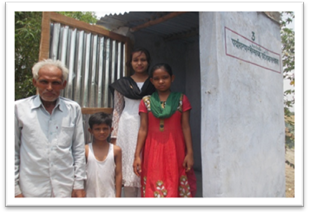 'construction of 4th Toilet Is completed at Sapna's house. 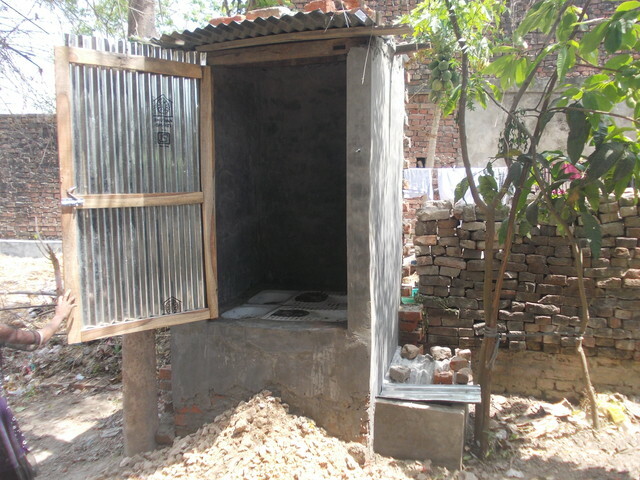 'construction of 4thToilet will be startd tomarrow at Sapna's house. 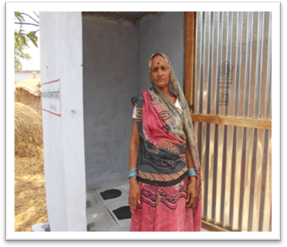 'construction of 3rdToilet Is completed at Bindrawati's house. 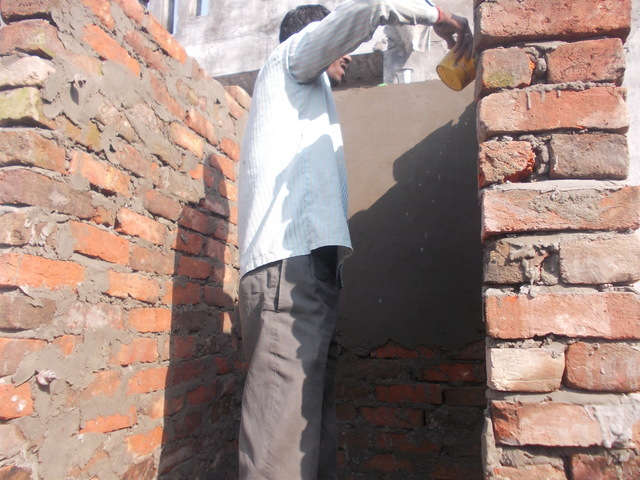 Construction of 3rd Eco San Toilet is started at BIndravati's palce (Kusum). 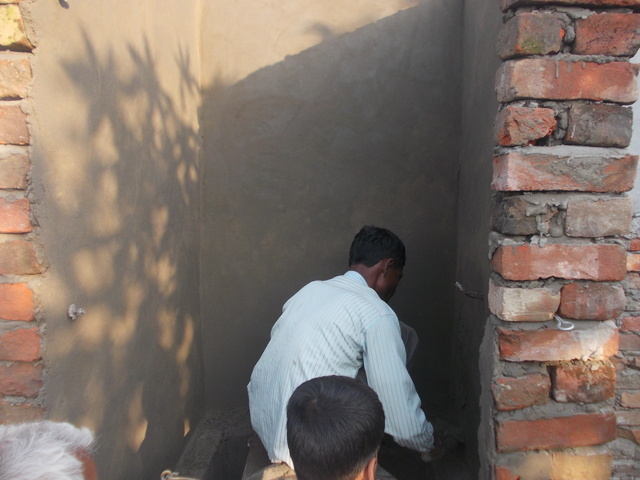 'construction of 2nd Toilet Is completed at Vidya's house. 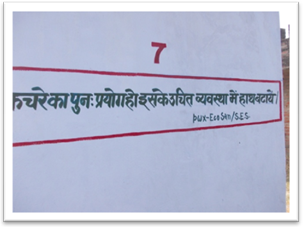 I have visited the 1st constructed Eco San Toilet at Kamlwati Place(probably first in Eastern U.P. or in U.P. ).I have spoken to her. 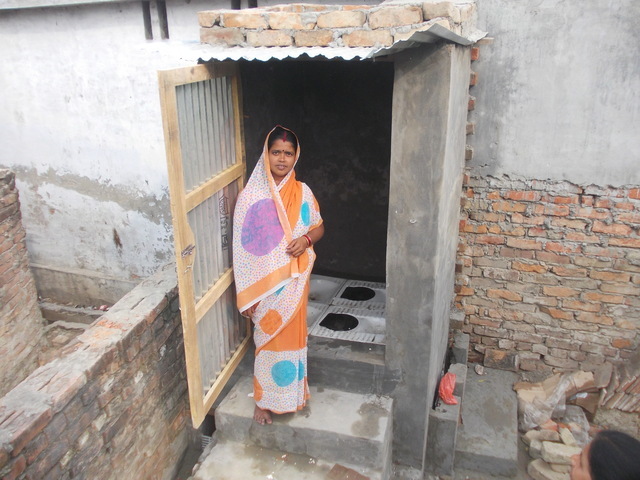 She said , it is great to have toilet at her house. Now, she or any of family member do not need to defecate openly . First time, I feel that having toilet can be privilege. We have utilized 97% of fund we received from first installment. As we got waybill (from tax department)& pan late. Construction started late.we are running behind time. One toilet usually took 5-6 days in construction. So for toilet, we need atleast 60 days. The expected day of ending project is 31st May.It also depends on transfer of remaining grants. Eco San construction is completed at kamlawati's house. Due to late delivery of eco san pan & getting waybill , we are delayed in construction of programme. Hence, we request you to provide atleast 2 month extension for next 9 toilets. 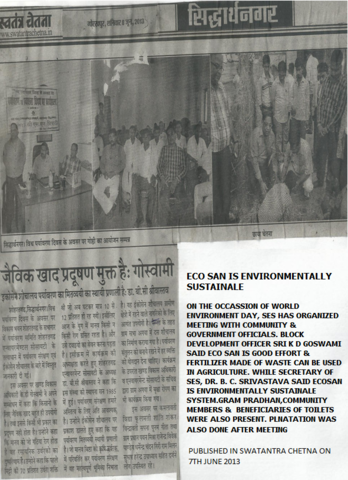 As per space available to kamlawati eco san construction is in last stage. 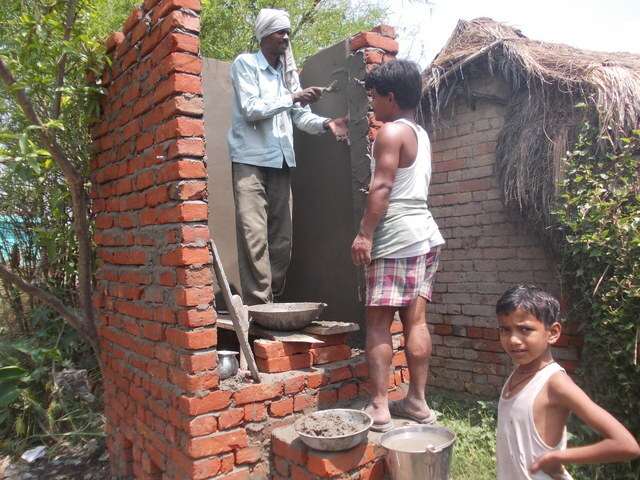 Work is going on construction of ecosan at kamlawati's house. 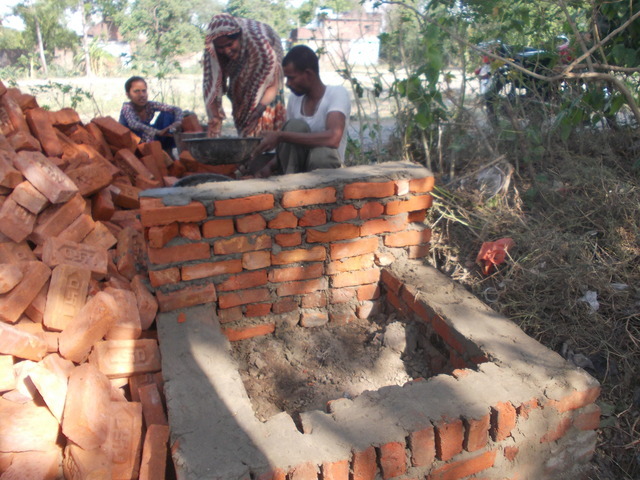 Construction of Eco san toilet is started at kamlawati's place. Training of masons are completed. After two month efforts,Today received 20 ecosan pan from shital ceramics at basti city.On the way to SES head office. Organization has received way bill from tax department. 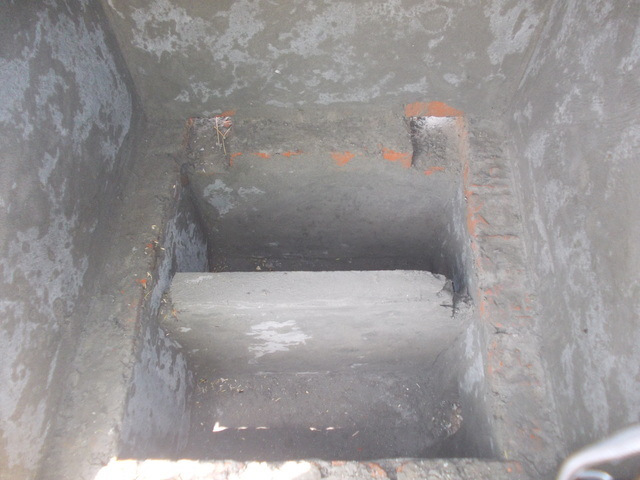 It has been courier to Shital Ceramics & after receiving pan construction of 10 eco san toilets can start. It took almost one month to receive waybill from tax department as Assistant Commissioner was on long leave..
- About Eco san Toilets .as mason also comes from community. So his sensitization is also importnat. The training is done through booklets, paper charts. Mason were also shown video of eco san toilets. As mentioned earlier waybill is in process but Asst. Commissioner (Sales Tax) on leave till this week. So organize expect to get waybill in next week & than order of pan can be done to Shital Ceramics..
From Last one week, SES staff is trying to get waybill but didn't get from concerned department. As we get waybill, process of delivery of 20 pan will be started..
As mentioned in our earlier note that we have planned for concrete pan but after discussion it is found ceramic pan is suitable. Sheetal Ceramics told us that pan will cost Rs. 2500 per pan + transportation of Rs. 9000. So cost of 20 pan+ transportation is Rs. 59000. While we have already rs. 20000 for concrete mold. So, We need Rs. 39000 for Eco San pan more than allocated budget..
As mentioned in our note. 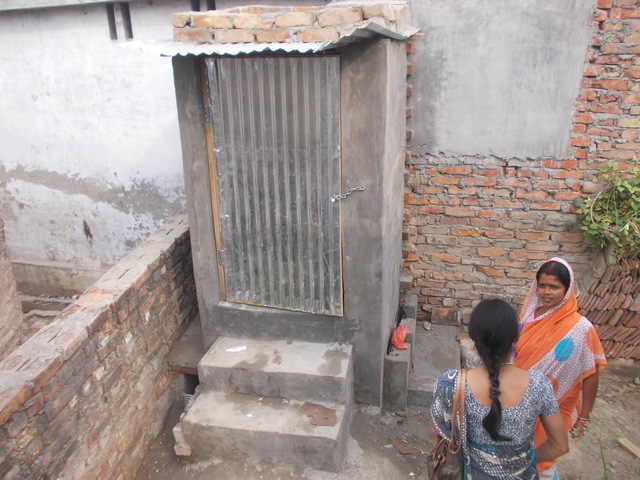 Community members of village paringwa are not ready for construction of Eco San Toilets. Hence , we request for construction of 10 eco san village in Agaya village. Meeting was scheduled to be held on the day but due to dense fog,only 3 community members were presented. So ,meeting is cancelled. We are looking for ceramic 20 eco san pan. We have spoken to Shital Ceramics regarding pans.They told that it will cost us Rs. 2750 per pan + transportation. As Ceramic pan was not included in our budget submitted. If add that cost it will increase our given budget (Rs. 195100). 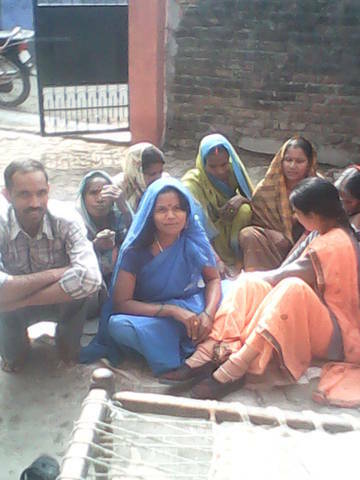 16 community are interested in construction of eco san toilets..
Today , meeting was organized at Kiran Devi's place . 29 people were presented(including 2 staff of SES). Discussion was done over material to be used & contribution from community. With Regular contact 16 community members shows interest in construction of ECO san Toilets.None of them has toilets in their house. Since we have to construct only 5 toilets, we need to choose 5 out of 16 . - It is very difficult to clean cemented pan . With Consent of community ,It was decided that they'll go for ceramics pan. Yesterday, I have meeting with community members of Agaya Village. Meeting was held at residence of Aganwani worker Kiran Devi. 16 people were participated in the meting. 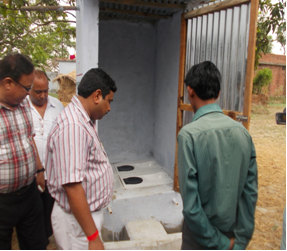 5 people from meeting show their eagerness for construction of eco san toilets. 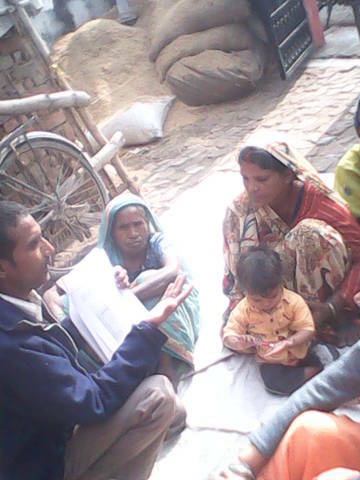 Meeting was concluded that they will discuss issues with family & let them also know importance of sanitation. Monitoring will be done by next financial year end. 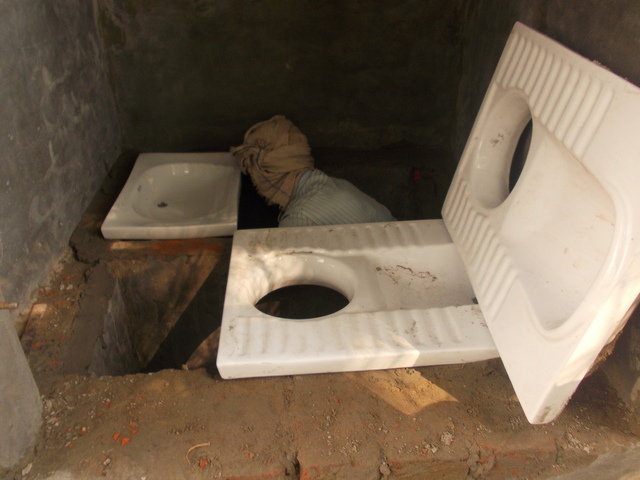 It will also try to know number of family members using constructed toilets. If some of them are not using, what is the reason?? Monitoring will also look over major factor such as social acceptance & reactions by others, viewpont of beneficiary & others after members, cleanliness of pan as well as toilets, way of management & usage of feaces & urine.adopted hygine practices adopted etc. During implementation, we have found that defective knowledge mengement. So there is need of greater of awraness campaign. We’ll also include in this campaign as school children will easily grasp it importance & usage. 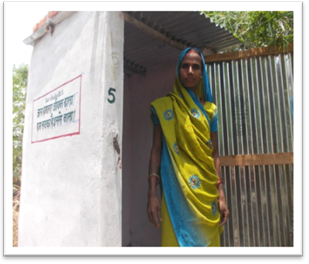 The women SHG members will be motivated to avail Bank loans for the construction of ECOSAN toilets. 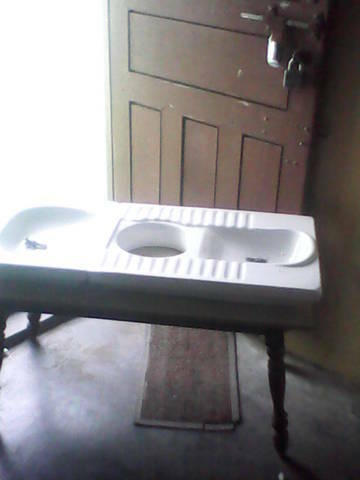 So that people can get constructed toilet & its use. SES also expects PWX to support bigger number of toilets & their tracking. 1. 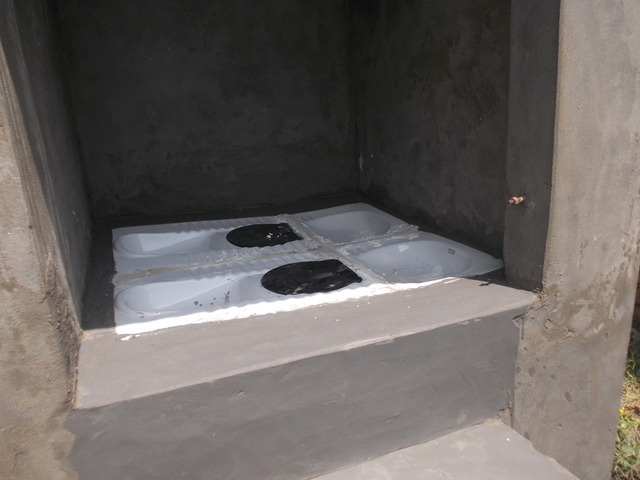 Construction of 10 Eco San Toilet was itself a challenge. There were several meeting in SES staff to understand whether we can deliver in this project. Our belief in team & experience in implementation of several past projects led us to implement this project too. 2. 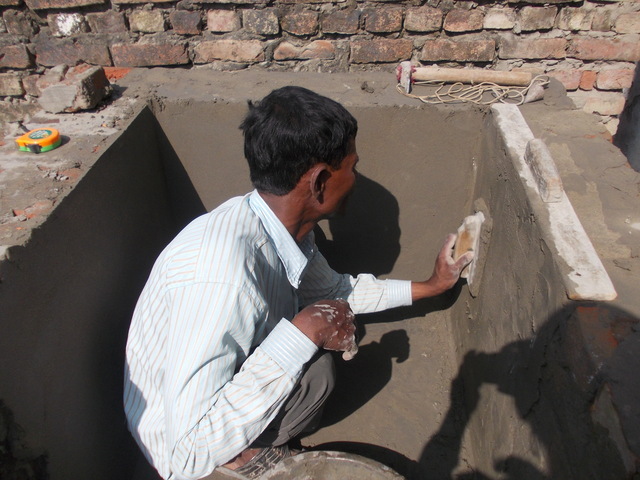 Cooperation of the village people was vital to this project.Initially, when staff visited village, it was not easy for staff to convince them over construction of ECO SAN toilet as it reuses excreta & urine as fertilizer. 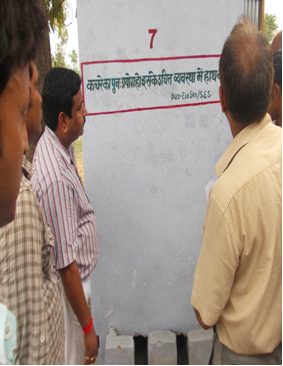 Non Implemntation of project in paringawa village is an example. Initially they were ready for construction but later they refused to part of project. For the project to succeed, behaviour of community needed to change. We do not say that we have changed behaviour of whole village i.e Agaya. 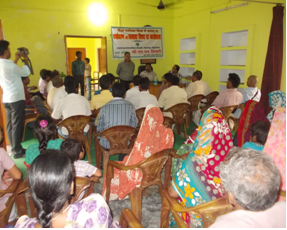 But, it has changed among in a segment of village through awareness & community meeting. 3. 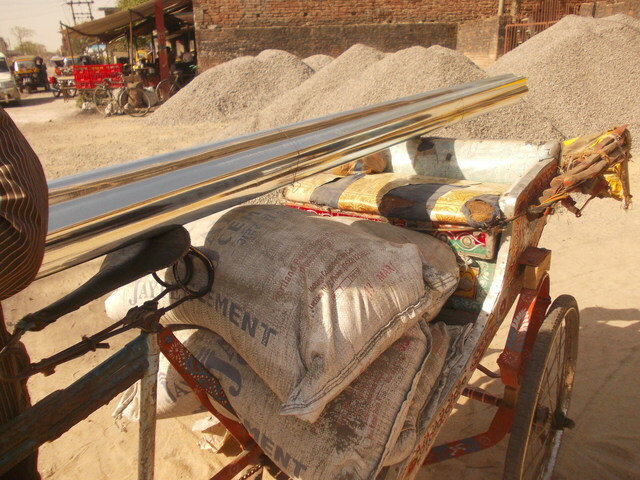 During the project, delivering of pans has taken time. The reason of delay was waybill. We knew that we need waybill for delivery. But, we did not expect that it’ll take two months. Yet, we have received. 4. 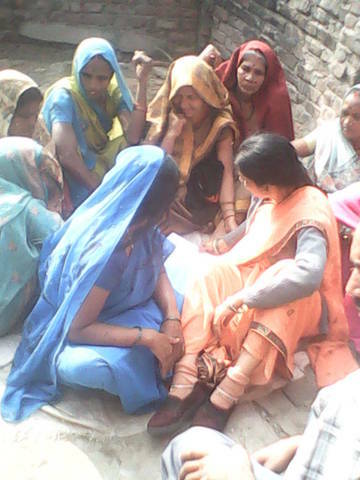 When we are working in village, we expect that we can easily manage community meeting. It was also a challenge. As most of people are engaged in agriculture & women play significant role in agriculture. In peak season, it was difficult to gather them but staff has managed to gather them for meeting. So, staff goes one day before meeting & convince them to be part of next day meeting. As target area falls at foothills of Himalaya tarai, so it was also difficult to gather people in winter. 1. Though, the project was successfully implemented in Agaya Village. It was not successful in Paringawa village. 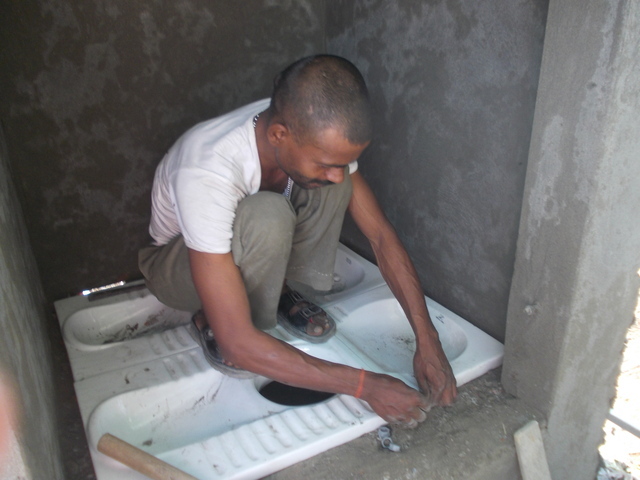 During whole project period, it was found that, there were reservations about installing & using of ECO San Toilets. People were still not able to accept food grown using urine or human erxcreta.The reason may be lack of evidence that it is effective in any manner. 2. The targeted society is patriarchal. All decision of maily is taken by man. It was seen majorly men were reluctant for construction of toilets. Women are easily convinced for construction. 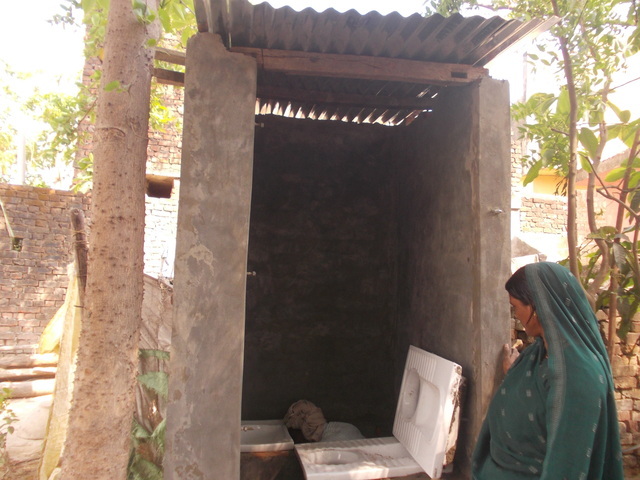 The reason is, toilet affects their dignity & privacy to large extent. 3. Though, there were reservation about construction of eco san toilets but still there are lage numbers of people who are ready for construction after witnessed built toilets. The need is awareness & information campaign at large level. It will raise the level of acceptance and awareness, because there is no information or constructed eco san toilets in the area. Training to 4 Masons & 4 staff of SES. While interacting with members of Self Help Group & school/college teacher & student. They’ll sensitize on importance of sanitation & drinking water in their lives respectively.